You might have observed that DaVinci Resolve does not contain any audio effects processing platform in its environment, this is sad! But the best news is that it supports few external plug-ins in edit page for audios. If we talk about Windows then DVR extends its support to third party VST type audio plugins whereas on OS X, it supports Audio Unit (AU) in the form of active Audio Plugin. Once you make efforts to install these interesting effects on your DVR workstation, then they can be easily accessed from the Effects Library. These audio plugins help users to apply various advanced effects on different audio files. It can be utilized to improve the content from EQ, compression and noise caused signal destruction, also it can adjust major factors like reverb and echo etc. The article below will help you to get complete information about 5 best DVR 12.5 supported Audio VST Plug-ins. Part 1: What is VST Plugins? Part 2: How to Install Audio VST Plug-ins? If you are finding some audio and video special effects for your video footage, you should not miss Wondershare Filmora Video Editor, which not only allows you to denoise the background annoying noise, but also features the audio mixer enabling you to edit the audio freely. The Filmora Effects Store, which provides some specially designed effects, will update the special effects for Fimora video editor monthly. Just watch the video below and download Filmora to try it by yourself. Part 1: What is VST Plug-ins? VST or Virtual Studio Technology is like a native framework developed by Steinberg. This specially designed plug-in has three common types: VST MIDI effects, VST effects and VST Instruments. VST 3.4 was the latest update to this platform and it was released in the year 2011. Most of these VST plug-ins are supported by the DaVinci Resolve platform, but few users have reported sudden crashes in some situations. Here is an interesting fact to know that most of these VST plug-ins are dedicated to the Windows platform. Step 1: Go to your browser and download your audio plug-in (take panDelay tool for example) to your system. Step 2: If it is downloaded in a zip file format, you need to extract these files to your system. Step 3: Now search for VST plugins folder in the extracted files. Step 4: Move your .dll file (in panDelay case) directly into DaVinci’s VST plugins folder. Step 5: Once you have done these settings, restart your DaVinci Resolve. SaschArt experts have recently developed their advanced panDelay freeware type mastering and mixing tool with 64-bit and 32-bit VST plugin format. It is dedicated to all Windows supporting host application platforms. panDelay is actually a basic delay effect that assists users to pan their delayed signal to right or left stereo channel as per need. This interface actually supports only five simple parameters to initiate control actions: feedback, pan, delay rate and a pair of wet/dry volumes that work like sliders. All these controls are straightforward with very intuitive plugin interface. Note that the delay rate parameter over this platform is highly smooth, so you need not to worry about pops while adjusting the values. Delay can be added to right as well as left side. Allows very smooth transitions without causing any distortion, rattles and crackles. If you place delay in the opposite direction to that of initial sound, then stereo get automatically enhanced. Offers rich rates as dotted and triplet form. 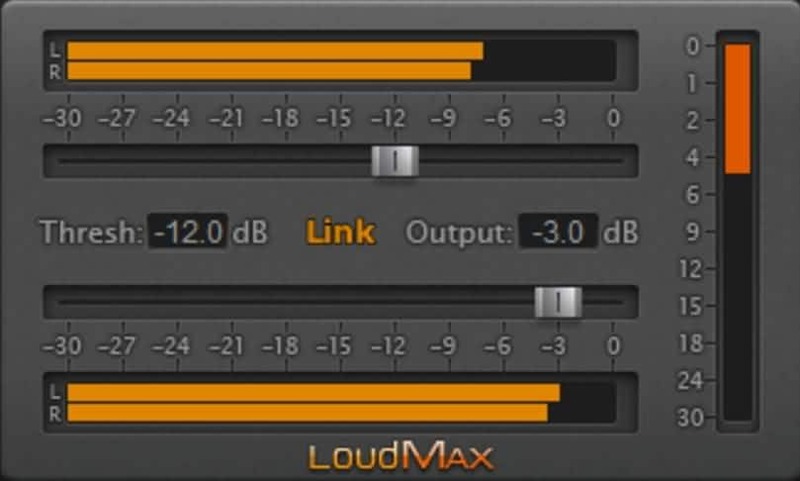 LoudMax Plugin provides a highly interactive interface where one slider can be used for threshold and other for adjustment of output levels. There are unique meters to reflect details about gain reduction, output and input with respect to the threshold level. The range of applications includes audio mastering services and output maximize/limited for various web radio stations. It supports sample rates between 2 kHz and 384 kHz. Attack Time, Look Ahead and Latency = 1.25ms. It offers automatic release time as per type of input signal. You will not find any audible distortion over here. RX Plug-in is capable enough to repair your audio information with its four advanced tools, De-click, Dialogue De-noise, De-hum, and De-clip. You can buy this software with payment of $49.00 and soon it will clean all your projects by working on interferences, line noises as well as tone of signal. Users can easily improve the quality of output by simply removing the unintended click that usually causes noise. You can also avoid the electrical hum as well as line noise of buzzes and ground loops. This platform follows automatic detection processes for unwanted interferences. It helps to reduce retakes by allowing easy repair to analog and digital artifacts. The noise floor in reduced in real time basis to improve tone and quality. Soundtoys is capable enough to improve audio information with its 20 essential plugins. Users can access this tool to compress, saturate or to distort the signal with radiator, decapitator and devil-loc etc. It can assist professionals in development of impressive studio pitch and chorus. Modulation can be enhanced to a new level for better synchronization of information with all rhythms. This tool develops an intuitive multi effect system by merging various powerful plugins. This tool allows users to work in smarter manner so that highly customized outputs can be generated. You need not to work with hardware dongle. Offers loads of elegant effects. MJUC is rated as one of the most essential and powerful plugin from Klanghelm. This product was designed after an extensive design implementation that worked for 2 years. This platform offers a dedicated set of signal paths and control functions that users can access freely to customize their input signals. Various parameters can be adjusted using built in tools and performance of outputs can be maximized with an extensive feature set. Users can tweak knob behaviors and can enable or disable tooltips as per need. Further, they can hide or show the values of different labels.